With NASCAR racer, figure skater and semi-pro basketball player already under his belt, comedian Will Ferrell can now add minor league baseball player to his resume of fake athletic roles. On Friday, Ferrell took on the role of Billy Ray Rojo Johnson, pitcher for the Round Rock Express, a real minor league Major League Baseball team near Austin, Texas, in the team's game against the Nashville Sound. The Catholic Student Ministry at the University of Virginia celebrated Mass at noon Friday for slain student and lacrosse player Yeardley Love. Two teenagers were arrested and charged with conspiring to kill faculty and students at a Long Island high school, police said Friday. 296 ‘funked up’ stocks – trades canceled: After one of the most wild days on Wall Street, Nasdaq canceled trades of 296 stocks whose prices fluctuated the most. Glitches send Dow on wild ride: In one of the most gut-wrenching hours in Wall Street history, the Dow plunged almost 1,000 points Thursday before recovering to close down 348, as erroneous trading in Procter & Gamble and several other stocks sparked a massive selloff. TomKat’s dirty dance: New video of Katie Holmes' dance for Tom Cruise that puts to bed any rumors of divorce. Stocks down on day, week, year: Stocks slumped Friday, with the three major indexes ending in negative territory for the year as investors mulled the Greek debt crisis and the aftermath of one of the most gut-churning days in Wall Street history. Capturing the leaking oil: CNN's David Mattingly describes how a containment dome will be used to try to capture oil leaking from an oil well in the Gulf of Mexico. The man accused of bringing an under-age prostitute to ex-NFL player Lawrence Taylor told her to lie about her age, prosecutors alleged in a federal complaint against the man on Friday. The complaint says the alleged pimp, Rasheed Davis, told a 16-year-old prostitute to tell a "Client-1" that she was 19. The federal complaint against Davis does not refer to the former New York Giants linebacker by name, but the description of "Client-1" matches that of Taylor in the complaint against him. Stocks slumped Friday in a choppy session as investors mulled the Greek debt crisis and the April jobs report in the aftermath of one of the most gut-churning days in Wall Street history. The Dow Jones industrial average lost 148 points, or 1.4 percent, after seesawing in the morning, having gained as much as 59 points and lost as much as 279 points. The S&P 500 index lost 18 points, or 1.6 percent. The Nasdaq composite lost 52 points, or 2.3 percent. A Latino rights group and other immigrant and labor organizations have called for a national boycott of Arizona over the state's new immigration law, which allows police to ask anyone being investigated for a crime for proof of legal U.S. residency. The call was led by the National Council of La Raza, which bills itself as the largest Hispanic civil rights and advocacy organization in the United States. Other groups joining the call include the Asian American Justice Center, the Center for Community Change, the League of United Latin American Citizens, the National Puerto Rican Coalition, the Service Employees International Union, the Leadership Conference on Civil and Human Rights, and the United Food and Commercial Workers union. Filed under: Immigration • Louisiana • U.S. The Grand Ole Opry House is closed for repairs after record-setting rain sent water 2 feet above its historic stage, damaging instruments, memorabilia and archival tapes at the country music landmark. Gaylord Entertainment Co. Chief Executive Officer Colin Reed said he did not know how long the facility will be closed. The neighboring Gaylord Opryland Resort, a 2,881-room hotel, also is closed for restoration but will be open before the end of 2010, he said. "We're going to do everything in our power to restore the stuff that's been damaged by water," Reed told reporters Friday. 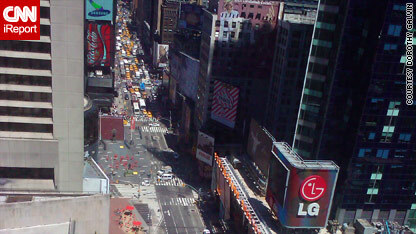 Filed under: Tennessee • U.S.
Police have blocked off parts of Times Square and evacuated people because of a suspicious cooler left in Times Square. [Updated at 2:32 p.m.] Mayor Michael Bloomberg of New York acknowledged after that incident that terrorists have targeted New York. "We have to take every precaution, as you know, because we remain a prime target for terrorists," he said. "That's something all New Yorkers understand and it's something that we need Washington to understand as well." "We will continue to doing everything we possibly can to protect New Yorkers from terrorist attacks. We have, as you know, built the most comprehensive and sophisticated counter terrorism operation of any local police force in the world." [Updated at 2:24 p.m.] An all-clear was declared Friday after authorities investigated a suspicious package left in front of a hotel in Times Square and determined that it contained water bottles, police said. 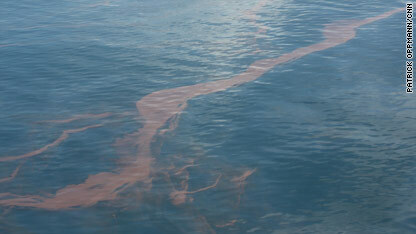 CNN's Patrick Oppmann surveyed the oil spill while aboard a Coast Guard flight. Hanging out the back of a Coast Guard plane, 1,000 feet over the source of the oil spill in the Gulf of Mexico, I am hit by the almost overpowering smell of gasoline. Even at the height and speed that the Coast Guard HC-144A “Ocean Sentry” travels, the smell from the environmental disaster unfolding below is beyond noxious. In the distance a black plume of acrid smoke rises from a controlled oil burn. I wonder what the fumes are like at sea level , where a small army of workers is trying to stop the estimated 5,000 barrels of oil a day pouring into the Gulf. A wedding photo has surfaced showing Times Square bombing suspect Faisal Shahzad and his wife Huma Mian. 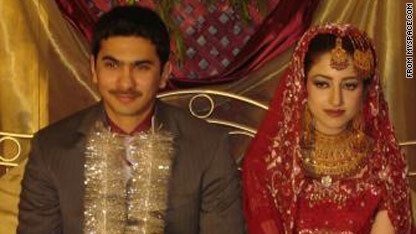 The photo, posted on Mian's brother's MySpace page, shows the couple in traditional Pakistani attire. Shahzad has been charged with attempting to use a weapon of mass destruction, acts of terrorism transcending national boundaries, and three other counts in connection with the incident. 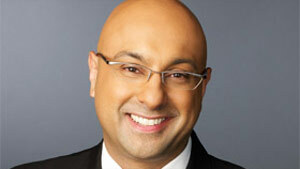 If convicted, he faces up to life in prison. Costa Ricans were preparing Friday to inaugurate the country's first female president. Two people were shot and killed Friday at an Old Navy store here, police said. A man and a woman at the store died in an apparent murder-suicide, said Officer John Mirabelli, a spokesman for the Chicago Police Department. Hundreds of people were outside the store as police officers investigated, CNN affiliate WGN-TV reported. BP workers have suspended a four-story oil-containment dome above the sea floor some 5,000 feet deep and are using remote-controlled submersible craft to prepare for placing it over the untapped wellhead, the Coast Guard said Friday afternoon. All the seats involved in Thursday's British election have been called by local officials. The Conservatives took 306 seats, Labour 258 and the Liberal Democrats 57. Smaller parties took 28. One seat will be decided on May 27, the election having been delayed because of the death of a candidate. No party won a majority in the 650-seat House of Commons. All eyes will be on LeBron James and his elbow during Game 3 tonight. What the heck happened with the markets yesterday? It’s a day after the Dow Jones industrial average sent the markets on a wild ride - dropping nearly 1,000 points in five minutes then rebounding - and we’re still not sure what happened. Yesterday was slightly more than a run-of-the-mill bad day - and then something technical happened. We’re still unclear about what caused it. At first all eyes turned to Greece and sovereign debt issues in Europe. Then there was word a technical glitch involving Proctor and Gamble was to blame. Everyone is pointing fingers. Some say prices were listed as billions instead of millions, but nobody knows - yet. The bottom line is: Somehow, either one stock, or a handful of stocks lost a significant amount of value within moments and that is uncharacteristic. 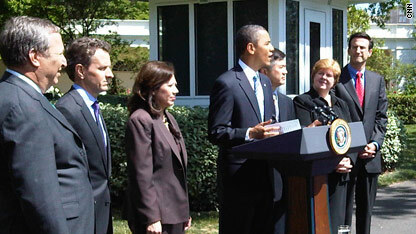 President Obama talks about the largest monthly increase of jobs in four years. President Barack Obama called the increase in jobs last month "very encouraging," Friday saying the numbers are "particularly heartening" in light of conditions last year when the economy was in "free fall." Sun's halo - 'gift from God,' 'end of days' or just pretty? iReporter David Cua captured this photo in Cebu City, Philippines. 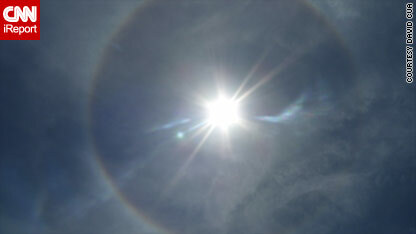 This morning CNN iReport woke up to a flurry of photos of what look like a halo around the sun in Cebu, Philippines. iReporter David Cua, who shared the photo here, said he and his friends were trying to figure out what on earth it was they were seeing.